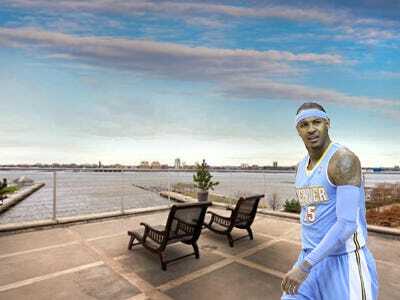 WELCOME TO NEW YORK: Now Where Should New Knick Carmelo Anthony Live? Hmm not a bad…not bad at all. By Rob BearWhen it was announced over the weekend that basketball star Carmelo Anthony would be leaving the Denver Nuggets for the wilds of the New York Knicks, Knickerbocker fans cheered, Nuggets fans jeered, and Anthony was left holding the bag on a massive mansion in Littleton, Colorado. Built by a tech exec in 2002, the estate was sold to Carmelo in 2007 for $12M and consists of a 21,00-square-foot eight-bedroom main house, a 5,500-square foot barn, and a 1,600-square-foot guest house. It features include 15 bathrooms, seven fireplaces, a wine cellar, a recording studio, a home theatre, a gym, and a 54-foot lap pool. But all that space and those features couldn’t save this place from the downturn, and even a $9.5M asking price hasn’t been enough to lure a buyer. Not to mention it didn’t just hit the market: Carmelo first listed back in June, when he told the Denver Post his agent was negotiating for a three-year extension with the Nuggets. So much for that plan. Even if ‘Melo can’t move his mansion soon, he’ll be moving to NYC with plenty of dough to throw at a new money pit. 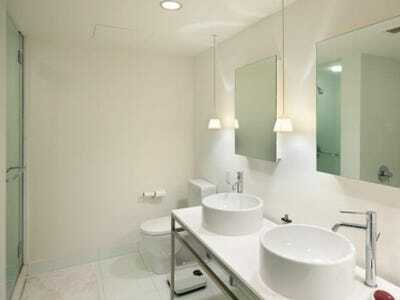 If a certain slugger's recent purchase is any indication, athletes like buildings with amenities that speak their language. For A-Rod, that meant the embattled Rushmore on Riverside Drive, with its residents-only baseball diamond out front. For 'Melo, we're thinking a basketball court on the premises could help him keep his game sharp without having to brush elbows with the street ballers. The twin-towered El Dorado lies on monied Central Park West, and enjoys spectacular views over the park to Fifth Avenue, as well as a garage and the crucial half-court in the basement. 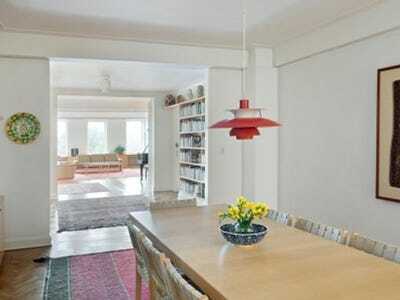 Recently featured on Selling New York, this three-bedroom has had its price hiked by $200K since the show was taped, but still hasn't found a buyer. 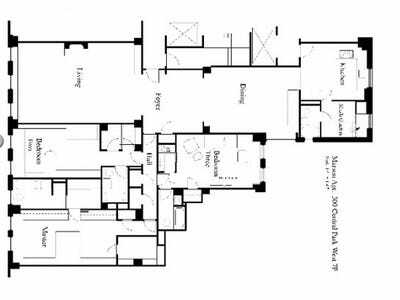 Given that 'Melo hasn't been too intent on value in his real estate dealings, this may be just the spot for $6.2M. Plus: 'Melo plus El Dorado equals 'Mel-Dorado? Has a nice ring to it. 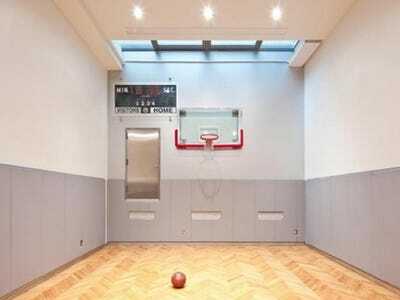 Down in the West Village, the townhouse at 400 West Street beckons with a basketball court that converts into a screening room. Perfect for reviewing game tapes then brushing up on some free throws, no? 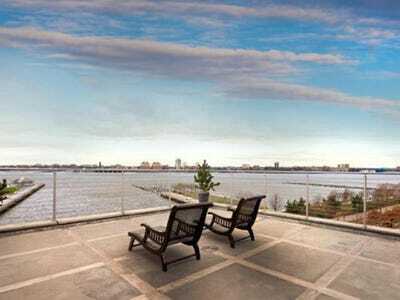 The rest of the house doesn't fail to impress either, with Hudson River views, multiple terraces, and an eye-popping price tag of $18.95M. Not to mention it was too rich for A-Rod's blood. 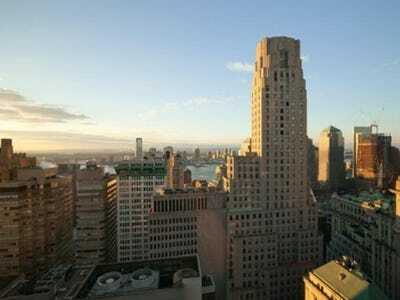 Carmelo could also become the next prince of Wall Street in this 15 Broad Street penthouse in the Financial District. The basketball court might be in the basement, but the views are all up here, with a peek at the Empire State Building for that true NY feel. 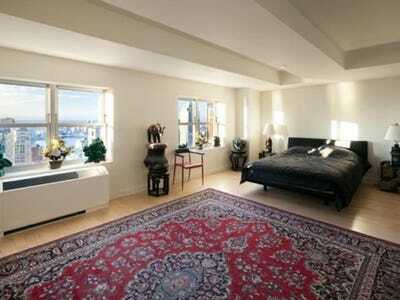 Also, things are cheaper down in FiDi, where this 3,000-square-foot joint goes for $4.4M. After all, it might be a good idea to take it a little easy on the big spending after the at least $2.5M loss on his Colorado manse.